The jujonia shell can be up to 5 inches long and has distinctive dark brown, squarish markings. From what I’ve read, not many are found on Sanibel Island that are in good shape and if one is found there, the finder gets his or her photo in the newspaper. I found this poster for sale at “AllPosters” and it’s titled “Cone Seashell” but the shell on the right looks like a Junonia to me. 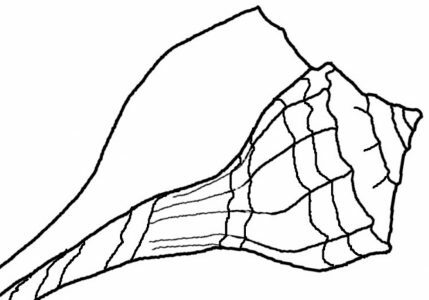 Maybe a Jujonia is a cone shell too. I don’t really know, but the one on the left is shaped more like what I think of as a cone shell. *Compare to this link which has a Jujonia photo.